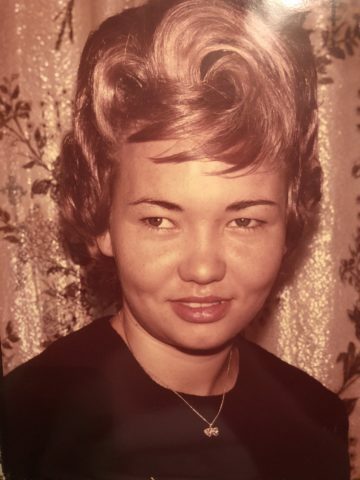 Gloria Ruth Kelton- Age 72, February 8, 2018. Preceded in death by her first husband, Kenneth Wayne Estep; second husband, Henry Wallace Kelton; daughter, Kimberly Dawn Mitchner. She is survived by her daughter, Tonya Anderson; grandchildren, Josh Mitchner, Daniel Mitchner, Justin Mitchner and Samantha Anderson; great-granddaughter, Oakleigh Landrum; sister, Carolyn Spann. She loved her coffee and cigarettes. Visitation will be from 12-1 p.m. on Saturday, February 17, 2018 at Harpeth Hills Funeral Home. A graveside service will be at 1 p.m. on Saturday at Harpeth Hills Memory Gardens.